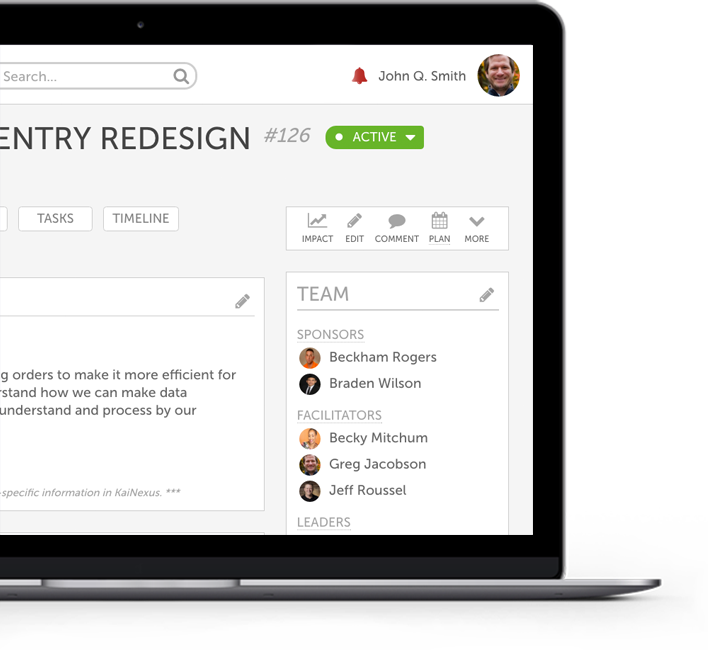 Get real-time insight into the progress of all of your improvements. 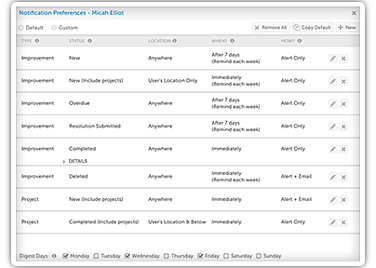 Gauge the pulse of your culture with instant reporting on the implementation rate of improvements, and identify strategic ways to make it even stronger. to improve your improvement process. when and where you're needed the most. 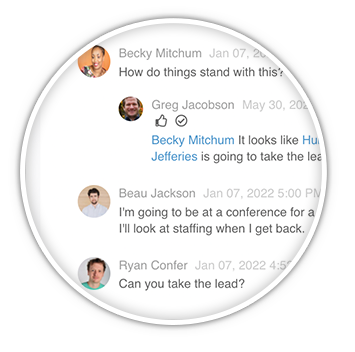 Increase and sustain engagement by responding to updates right away. Get each improvement off the ground ASAP to keep the ideas coming. 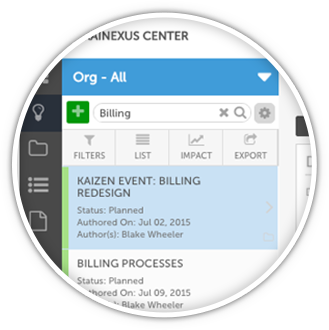 Improve collaboration by getting out of your inbox and into KaiNexus. 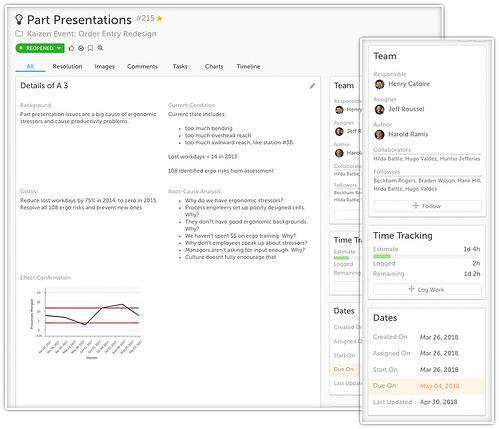 Empower your teams to stay connected all the time, from anywhere, for the quickest improvement cycle. Create an improvement culture in which people are accountable for improvement. 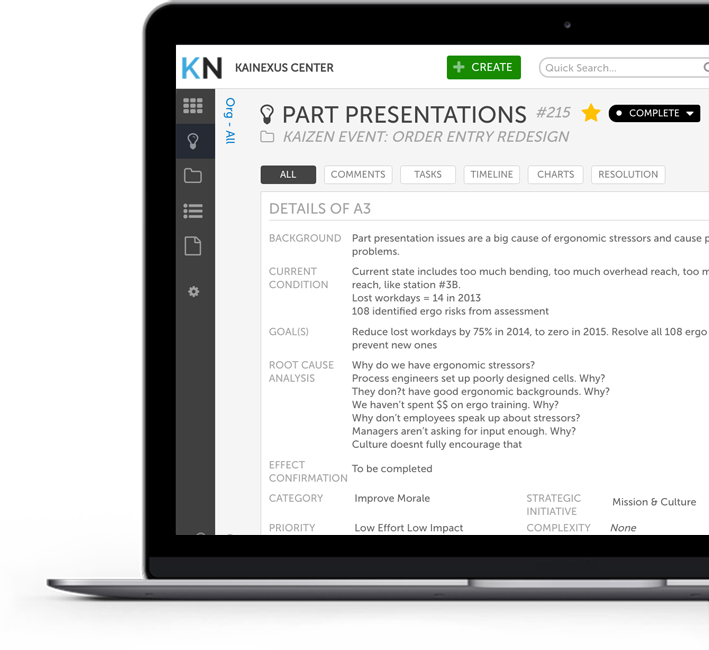 KaiNexus makes it easy to make sure nothing falls through the cracks, and to identify areas that need additional coaching. know what's going on, all the time. It’s not enough just to implement more improvements; you want to implement great ones. Enable knowledge sharing for effortless collaboration and the 1+1 > 2 kind of results. Break down silos with cross functional teams. Get everyone pulling in the same direction, no matter what they do, with improved transparency into the work of others.